Among Russian CEOs included in the poll, 82 percent see volatility in the ruble’s exchange rate as the biggest threat to their businesses. CEOs at Russian companies identify 13 of the biggest issues businesses face in 2017, from geopolitical concerns to climate change. Geopolitical instability, excessive government regulation and volatility in the ruble’s exchange rate are among the main issues cited by Russian CEOs as potential threats to businesses in Russia and internationally. PricewaterhouseCoopers (PwC) polled heads of leading international companies about key trends in the global economy in 2017. The survey included responses from 1,379 CEOs from 79 countries, including 88 from Russian companies. Among Russian CEOs included in the poll, 82 percent see volatility in the ruble’s exchange rate as the biggest threat to their businesses. Last year, the ruble’s instability was cited as the biggest risk by 92 percent of Russian respondents, compared with 55 percent in 2014. Another major concern is excessive government regulation, which was cited by 80 percent of Russian respondents this year. “The figures are higher for China and the U.S., at 84 percent and 85 percent respectively,” says Igor Lotakov, PwC's managing partner in Russia. Fear of geopolitical instability among Russian CEOs peaked at 86 percent in 2015, but this time around 80 percent still said it was a key risk. Geopolitical instability is less of a concern in China, where only 52 percent of respondents mentioned it. The geopolitical concerns cited by respondents include Brexit, Donald Trump's victory in the U.S. presidential election, the ongoing crisis in the Middle East and an escalation of tensions in the South China Sea. All these factors are likely to affect decision-making processes in 2017. Unemployment is a minor concern for Russian business leaders, mentioned by less than a third of respondents, compared to 45% of those polled worldwide. Most of these issues have, to varying extents, been of concern to CEOs for the past 20 years, but recently new risks have emerged. 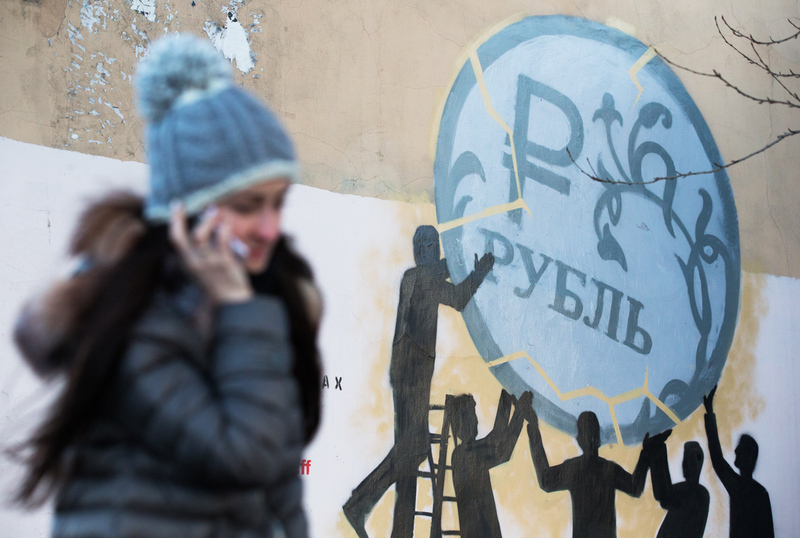 In 2013, only 47 percent of Russian respondents cited concerns that a lack of public trust could impact their businesses, whereas this year the figure grew to 60 percent. Developments in digital technology and social media have made it necessary to conduct business with increased transparency. It turns out that Russian companies are slightly ahead of American companies in the use of digital media, which is used by 89 percent and 76 percent of Russian and American companies respectively. Many Russian companies are focused on attempting to increase output, expand and break into new markets. This approach to growth will likely continue to bring results for some years to come, but PwC notes that the survey actually suggests globalization is running out of steam. Businesses should instead turn their attention to regional markets and seek out sources for further growth not only domestically, but even within the companies themselves. Overall, the majority of Russian CEOs believe there are more threats to their businesses now than there were three years ago. The majority of those polled do not believe that the economic crisis offers new opportunities for growth. Only 20 percent of Russian respondents, compared with 29 percent worldwide, think that the economy will grow in 2017.